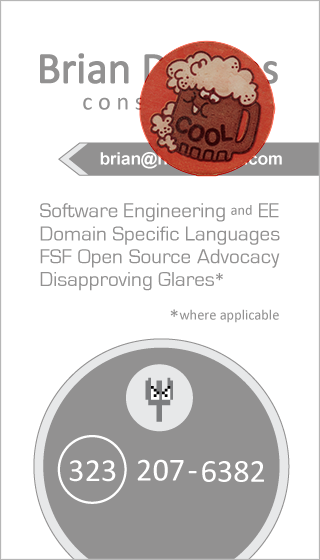 Seeing as I never intended for "hostilefork.com" to be a personal brand (or to have anyone refer to me as "The Fork"! ), people with articles of interest to the readership here should feel free to send pull requests. In various ways we are trying to put together the Rebol/Red future web frameworks story...so more people giving experience and feedback on using the Draem dialect is very welcome! Related projects to start looking through are @rebolek's Lest and rgchris's CSSR dialect. In that spirit, this is a guest blog post from Rebol community newcomer Giulio Lunati (@giuliolunati). I also want to give a shout out to Giulio's great work on doing NDK Rebol builds of Android, and helping push Rebol to be more powerful on Android in general! Python: 5261 chars / Rebol: 5005 chars. But 930 chars were literal strings. So if you want to consider "code length" in a fairer sense, it becomes: Python: 4371 chars / Rebol: 4075 chars. We must alo consider that Python code gets benefits from the HTMLParser module and the built-in decoding facilities. They weren't in Rebol, so I had to add two new functions to get what I needed. A little more work to do, but when you consider that counted in the size... Rebol seems more concise than Python. Speed seems equivalent once the code starts running. But Rebol starts up much faster! Makes it very good in shell scripts.